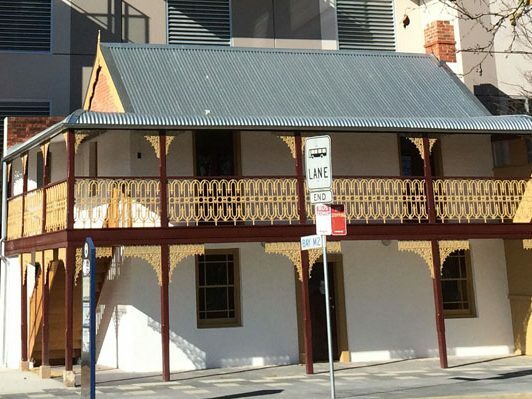 The project involved the construction of a nine storey mixed use residential and commercial building with car parking and the partial demolition and restoration and reconstruction of heritage listed Furlong House as a commercial tenancy. The new building provides 42 1, 2 and 3 bed residential apartments, two commercial tenancies and 80 car spaces. 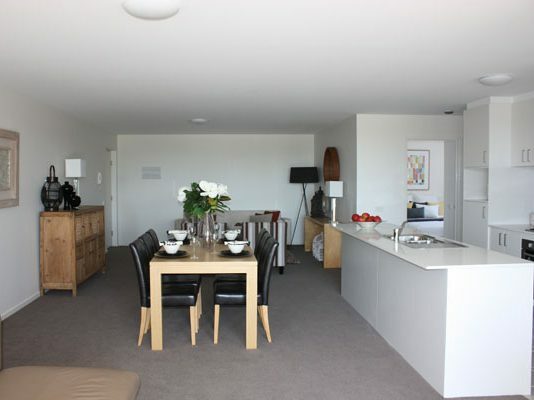 Ground, level 1 and level 2 contain car park spaces for the apartments and levels 3-8 contain the apartments. The commercial tenancies are located on the ground floor and within Furlong House. The new building was constructed using a combination of ultra-floor, “dincel” and Boral ‘partiwall’, a structural steel roof structure, steel columns and a precast concrete facade. There were also sections of the external facade in lightweight construction. The restoration and reconstruction of Furlong House was undertaken in conjunction with a Heritage Architect and the Queanbeyan City Council. During construction of the structure, the glazed balcony balustrades were bolted to the balcony steel framing prior to erection into position before the concrete floor for that level was constructed. 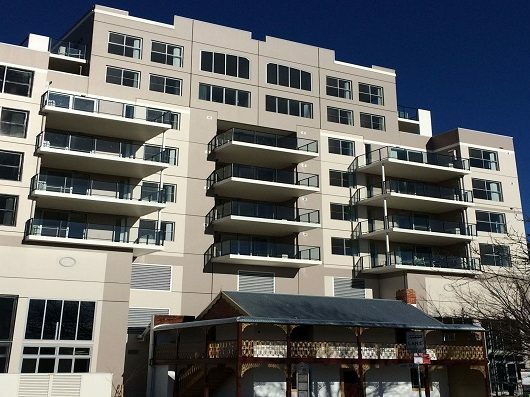 The balcony precast slabs and the balcony balustrade then performed the role of fall protection on the balconies. This saved time and money not only by not having to erect and dismantle a temporary handrail on each floor, but also eliminated the requirement to install the glazing to the balustrades form harness supports.